The humanitarian needs across the Ivory Coast have been extensive due to four months of violence following tense and contested presidential elections. The situation has grown more complex as the conflict ignited longstanding ethnic disputes and attacks on foreign migrant workers. Millions of foreign workers from neighboring African countries try to flee political instability and targeted violence for their own survival. Nearly a thousand deaths have been reported. More than 150,000 refugees have fled the Ivory Coast. 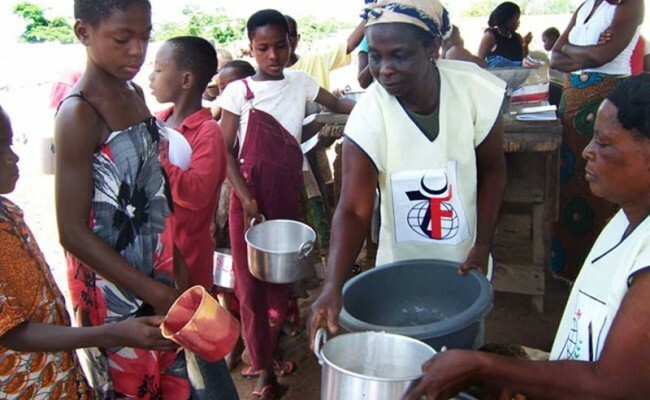 The majority has sought refuge in Liberia and Ghana where Zakat Foundation of America (ZF) has an office. ZF’s Ghana office team began providing food and water to Ivorian refugees at a campsite in the town of Berekum, Ghana more than a week ago. Day by day the number of people, including women and children increases. Currently there are 1,200 people in the camp. ZF’s Ghana team works with the United Nations High Commissioner for Refugees (UNHCR) to make the best provisions for the long-term well being of the refugees. 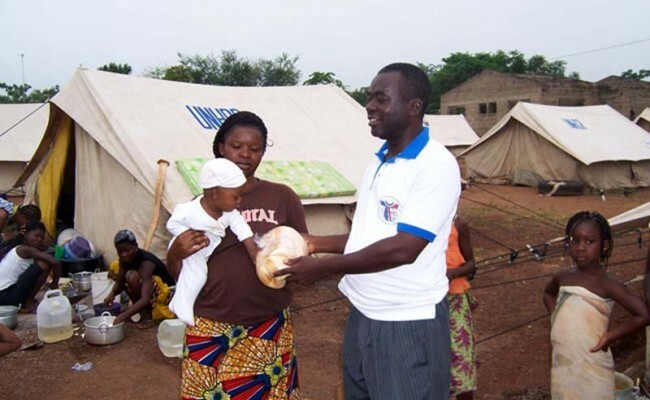 During ZF’s latest distribution in Camp Berekum, the ZF team provided the families living in the camp with rice, water, personal hygiene products, clothing for adults and children as well as soccer balls for children. In order to help the refugees regain lost livelihoods, ZF provided sewing machines that will be used to run tailoring classes for women in the camp. 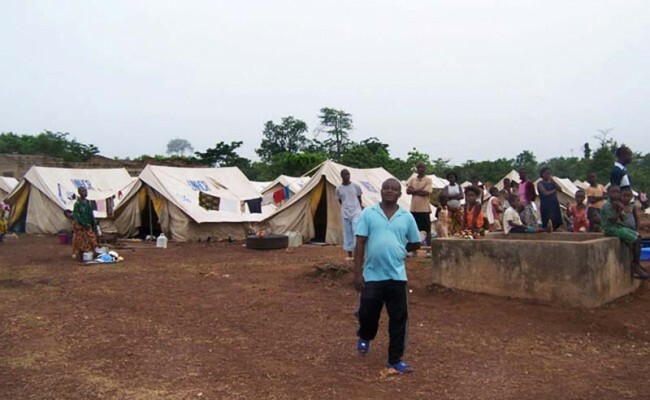 ZF is also in the process of establishing a poultry farm at Camp Berekum that will be supervised by UNHCR and will allow the refugees who were poultry farmers in the Ivory Coast to continue their trade while also providing nutritious food for camp residents and opportunities for income generation. 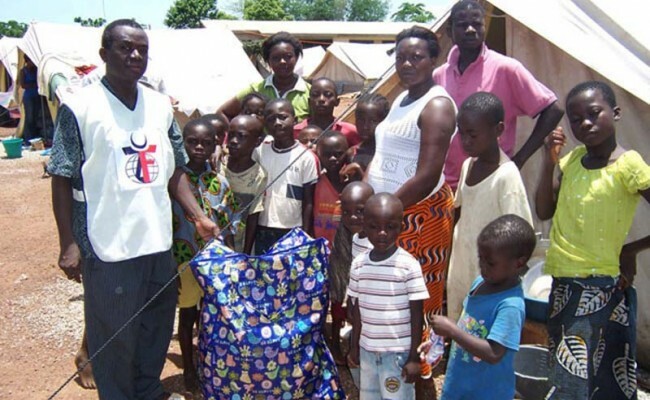 ZF will continue to address the needs of the mounting number of refugees entering Ghana from war torn Ivory Coast. 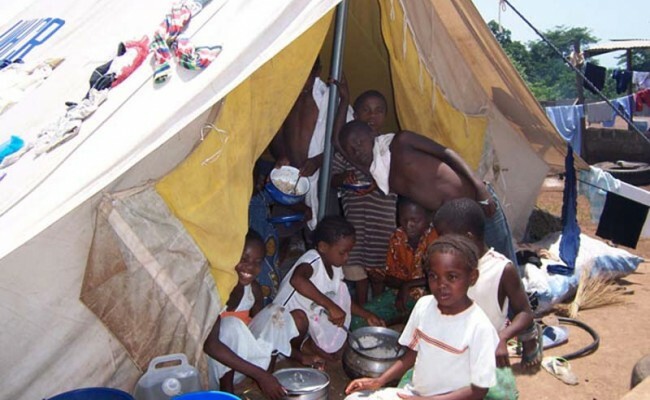 The needy and displaced refugees of conflict in the Ivory Coast appreciate your support of ZF’s Ivory Coast Relief Campaign. Please Donate today.